Access to Mideast and Islamic Resources (AMIR) A tool to assemble and distribute information on open access material relating to the Middle East. Digital Islamic Humanities – A research initiative at Brown University. How to Write about Africa is an essay by Binyavanga Wainaina. Islamic Africa – A peer-reviewed, multidisciplinary, academic journal published by Northwestern University Press in collaboration with the Institute for the Study of Islamic Thought in Africa (ISITA), based at Northwestern University, Evanston. The journal incorporates Sudanic Africa, retaining its focus on historical sources, bibliographies, and methodologies. Islamic Heritage Project at Harvard University – Islamic Heritage Project (IHP), has has produced digital copies of over 280 manuscripts, 275 printed texts, and 50 maps, totaling over 156,000 pages. Rare Book School provides continuing-education opportunities for students from all disciplines and levels to study the history of written, printed, and born-digital materials with leading scholars and professionals in the field. Founded in 1983, RBS moved to its present home at the University of Virginia in 1992. 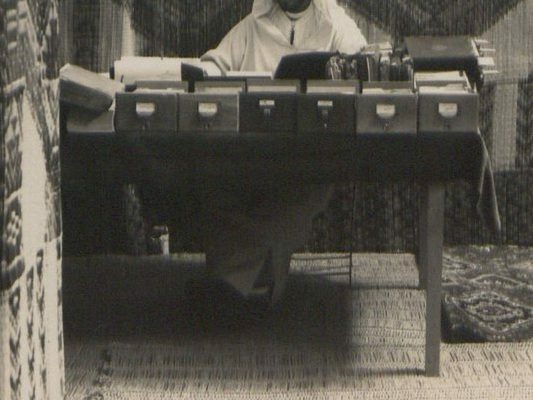 The Islamic Manuscript Association – An an international non-profit organisation dedicated to protecting Islamic manuscript collections and supporting those who work with them. The Rabat Genizah Project – A digital library of documents of the Jewish population of Rabat, Morocco. The collection includes community records, photographs, public notices, pedagogical materials, poetic manuscripts, canonical Jewish texts, rabbinical commentaries, liturgical supplements, and a wide range of other published and unpublished materials. UNESCO- Persist Project – Under the name UNESCO-PERSIST (Platform to Enhance the Sustainability of the Information Society Transglobally) , globally pressing questions on digital selection, responsibility and division of labor will be addressed. WorldCat Identities Network – Experimental Project of OCLC Research. World Digital Library The WDL makes it possible to discover, study, and enjoy cultural treasures from around the world on one site, in a variety of ways. These cultural treasures include, but are not limited to, manuscripts, maps, rare books, musical scores, recordings, films, prints, photographs, and architectural drawings.